Amazon Smile is a simple and automatic way for you to support Napa Humane every time you shop, at no cost to you. 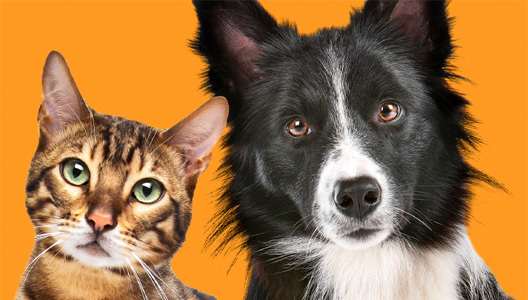 When you shop an Amazon Smile, you’ll find the exact same low prices, vast selection and convenient shopping experience as Amazon.com, with the added bonus that Amazon will donate a portion of the purchase price to Napa Humane. Log on to Amazon Smile, register to support Humane Society of Napa County (Napa Humane), and shop till you drop! Change your online shopping into support for Napa Humane! That’s right…just by shopping online at over 1,700 stores via iGive.com a percentage of each purchase is donated to Napa Humane. Join iGive.com and select Napa Humane as your charity. It’s free, safe, and easy to join. Shop through iGive.com at hundreds of stores like Amazon, Macy’s, snapfish, Barnes & Noble, Staples, Sur La Table, and Lands’ End to name only a few! A percentage of each purchase is donated, plus a bonus of $5 donation if you shop within 45 days of registering. So log on to iGive.com, register to support Humane Society of Napa County (Napa Humane), and shop with a purpose! Fundraising that’s easy and a proven success! eScrip offers an effective vehicle for simple fundraising – cash credits to Humane Society of Napa County (Napa Humane) by shopping at participating merchants. Log-on to eScrip.com and follow the instructions for creating an account naming Humane Society of Napa County (Napa Humane) as the charity you wish to support. Securely register your debit and credit cards for use in the program. Shop at participating merchants you find on the eScrip site using the cards you have registered (as an example, Vallerga’s Market in Napa generously donates 3% of every purchase!). Check out how quickly and easily your earnings for Napa Humane add up – your purchases are tracked and available to you online allowing you to see just how much you are earning for the animals! Patti has written a design advice column for the Napa Valley Register since 2012 and this year she’s created a book that assembles her 40 favorite articles, plus 64 color photos and inspiring quotes. Demystifying Design distills Patti’s decades of experience into one easy-to-read, 152-page book. We’re thrilled to share that Patti has generously offered to donate ALL of the proceeds from book sales to Napa Humane! The book costs $25, which includes tax and shipping within the continental United States. 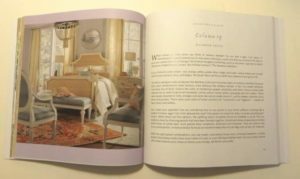 For more details, to see some inside images, and to order your copy, please email Patti at plcinteriors@sbcglobal.net. We are so very grateful for your generosity, Patti! Questions? Call Napa Humane at 707.255.8118 x205.